This blog presents the common points between sufims and Sahaja Yoga through the work of great poets, sufi masters, and the teaching of Shri Mataji. 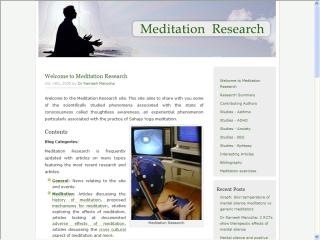 This site has information about meditation research into Sahaja Yoga and other forms of meditation. Presents research showing how improvements can be made in patients suffering from ADHD, asthma, epilepsy, hot flushes and anxiety.